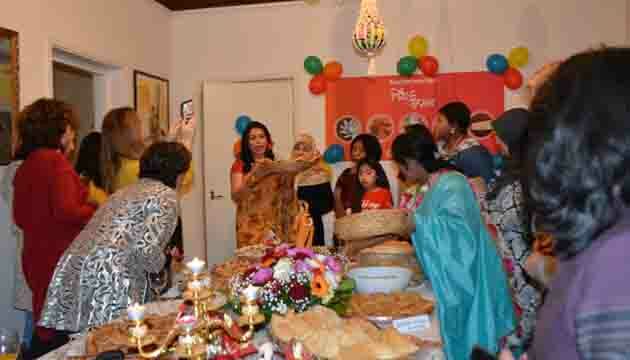 Bangladesh Embassy, The Hague has organized the Pitha Festival on Saturday at the official residence of Ambassador ‘Bangladesh House’. A good number of Foreign Diplomats, Prosecutor of the International Criminal Court (ICC), Journalists and expatriate Bangladesh community took part in the programme. Around 20 types of Pitha (domestic cakes) are being presented at the festival and at the same time they were informed about the preparation techniques of different types of pithas. 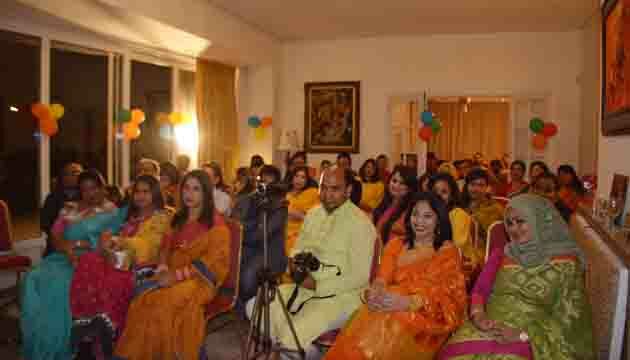 The initiative has been taken by the wife of Bangladesh Ambassador to the Netherlands, Dr. Dilruba Nasrin while Embassy officials, members of Embassy Family and three members of expatriate Bangladesh community extended all out support to make the event successful. 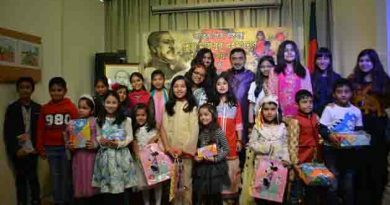 Promoting Bangladeshi culture and tradition abroad is one of the major responsibilities of Bangladesh Embassy. As part of this effort, the Pitha Utsav has been organized. 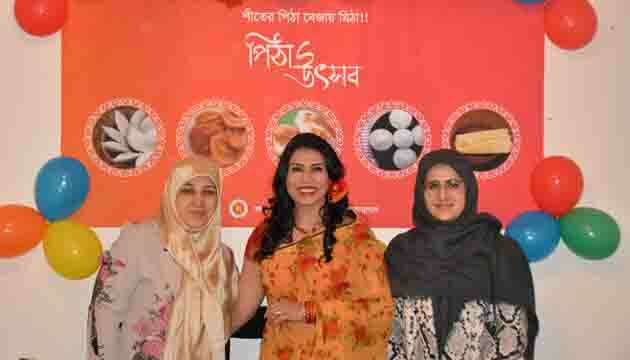 To give an impression of popular Pitha Utsav to foreign diplomats and local journalists, Dr. Nasrin briefed the distinguished persons about various traditions like Nabanna, winter in Bangladesh as well as preparation techniques of pithas. She mentioned that Pitha is considered as an integral part of Bengali culture and tradition. The guests were also informed about the festivity of pitha season in rural area of Bangladesh, age old tradition of entertaining the guests with pithas and organizing pitha and poush mela in urban area. At Pitha festival, 25 diplomats, local journalists and near about hundred members of expatriate Bangladesh community were present. In addition to enjoying different kinds of pithas, guests appreciated the colourful and diversified culture and heritage of Bangladesh. 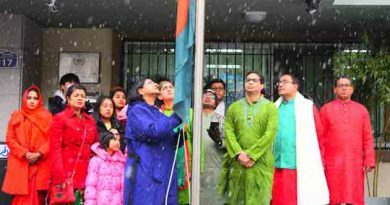 Moreover, on the eve of spring (Falgun), the members of the embassy family, members of expatriate Bangladesh community and a band ‘Trimatrik’ have presented popular bangla songs. 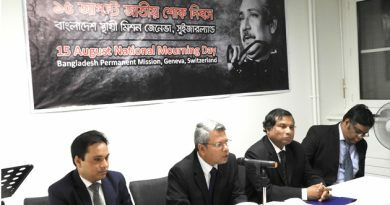 The Permanent Mission of Bangladesh to the UN and other International Organizations in Geneva observes the National Mourning Day- 2018 with due veneration and solemnity . The 48th Great Victory Day is celebrated in Seoul with due fervour and festivity.